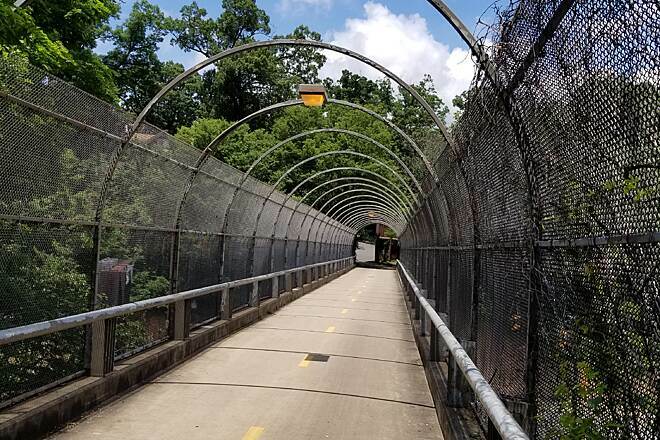 The Custis Trail is a popular urban route that links Virginia's D.C. suburbs with the District itself, connecting to both the W&OD Railroad Regional Park Trail at the latter's 4-mile marker and the Mount Vernon Trail at Roosevelt Island. The trail can be difficult for the aerobically challengedits hills are quite a workout and more so if you are traveling east to west. 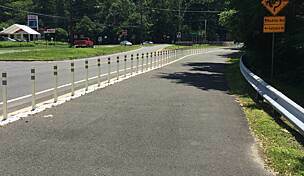 The Custis Trail parallels I-66 but concrete barriers keep the traffic noise down. In places the trail is narrow and has a few blind curves, so cyclists should take them slowly to avoid colliding with the many runners and walkers you'll encounter. 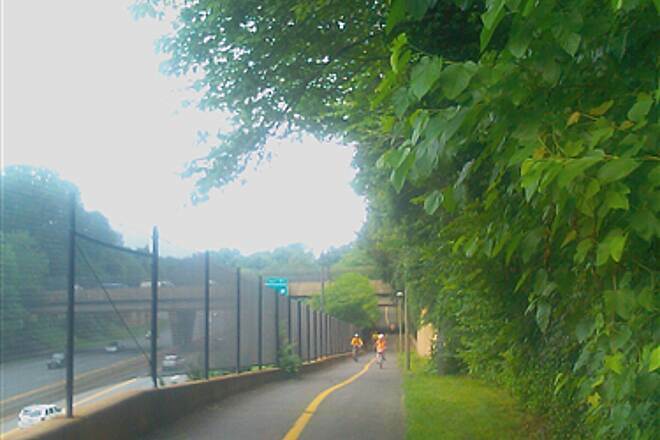 The trail begins in Rosslyn at the intersection of Lee Highway and Lynn Street and follows a wide sidewalk up the hill as it heads west. Beyond the Key Bridge Marriott Hotel, the trail turns to asphalt and becomes more narrow; the uphill climb is a grunt. 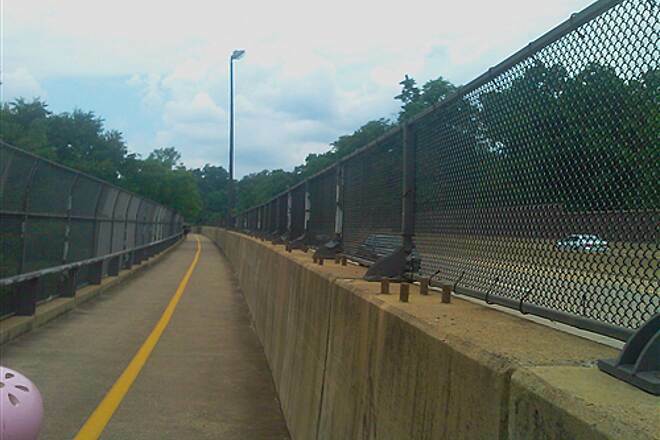 The trail then crosses over I-66 and follows it to where the Custis hooks up with the W&OD Trail. 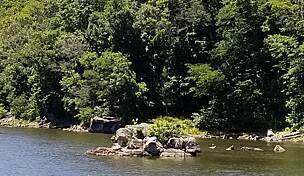 From this area you can also cross the W&OD to the Four Mile Run Trail. 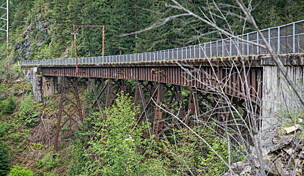 Linking all these trails together provides more than 70 miles of non-motorized corridor. Public (paid) parking is available in Rosslyn and free parking is available at Roosevelt Island parking lot off George Washington Parkway (access only heading N/W bound). You can also park at Bon Air Memorial Park in Arlington. 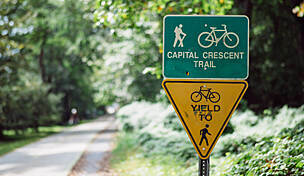 I recently rode the Custis Trail from Arlington to the Mt. Vernon trail. You can also connect to the 4 mile run and WO&D Trail and others. There are some steep hills on the trail so if you like this, the Custis trail has probably the most elevation change in the DC area. Plus, its ability to connect you to the other trails and sites. 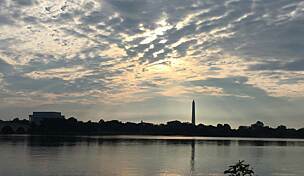 I stopped at the Roosevelt Island parking area to fill back up on water and take some pictures of the Potomac. The challenge is to climb the slight hills on a bike. The course is shorter than most but long enough to get necessary exercise. The views are nice and approachable. All in all this trail is a good addition for hikers and bikers. 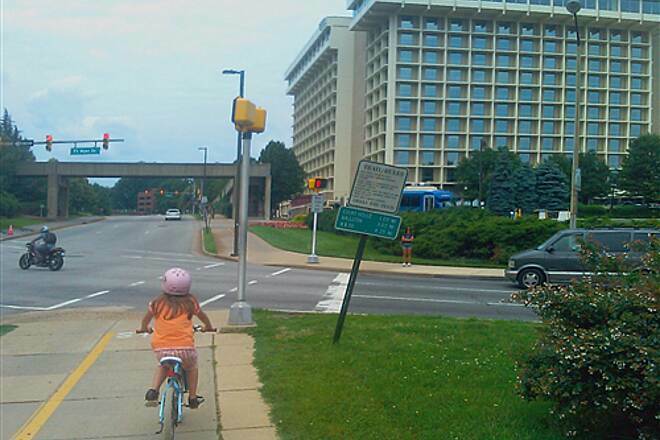 We rode it from Alexandria (Big Wheel Bikes) to W&OD on a tandem (first time!). The hills are mostly to navigate up and down the overpasses to the adjacent highway. I guess relative to a true rail trail, it's hilly, but not as bad as I'd expected. It does have plenty of twists and turns, so you need to be especially cautious passing, especially the earbudded pedestrians. It got us to W&OD and back without any roads, which was what we needed. "Ugly stepchild" of the trails in this area? I rode it yesterday West to East, and today East to West, as I made my way on the 10 mile journey from Georgetown to Don Beyer Volvo in Falls Church. As others say, especially East to West, the hills are a bear because you're climbing up from Rosslyn, I guess more or less in the direction of Great Falls. Anyway, you're going up river, and the elevation increases. Anyway, I'm grouchy about it not because the Custis goes uphill going West, which is natural, BUT I RESENT that it must needs play leap-frog with Rt. 66, as the trail either goes above exits on flyovers, or below certain exits, or indeed even having to climb up a steep curlicue ramp to reach the pedestrian bridge that crosses from the North to the South side of Rt. 66 (going West, that is). Eventually the Custis ends at the W & OD Trail, which is a great success of course, and goes all the way out to Purcellville, Va. 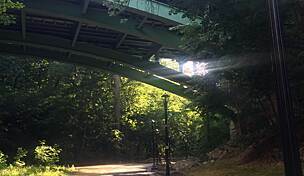 But when I need to go West out to Falls Church again, I will try to find the Eastern terminus of the Bluemont Junction Trail, which then connects up with the Washington & Old Dominion Railroad Trail, in other words, a route that follows a more RATIONAL, flatter, train route. Harumph to cars, and the bike trails that must bow to them. "Roads Were Not Built For Cars!" 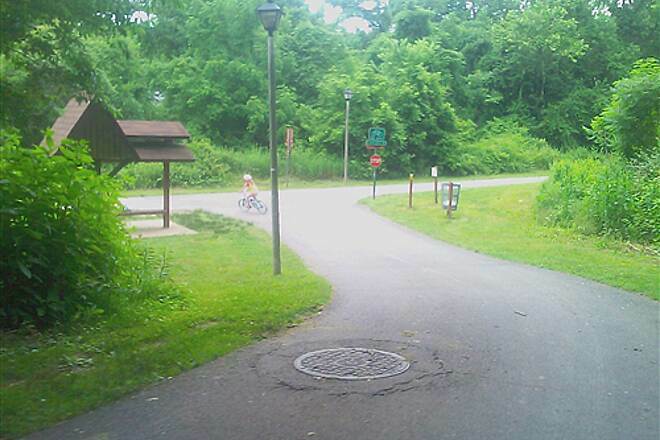 The Custis Trail is a very well maintained asphalt trail. On our ride of Saturday 10/6/12, it was not crowded at all. Parts of the trail ware through nice wooded areas, while other parts were side roads to major roadways. The trail is HILLY!!! Lots of ups and downs and not for the faint of heart. 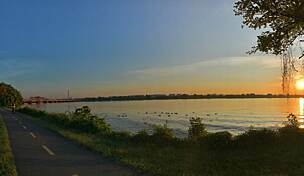 I like to include the custis trail as part of what I call the "bicycle beltway". 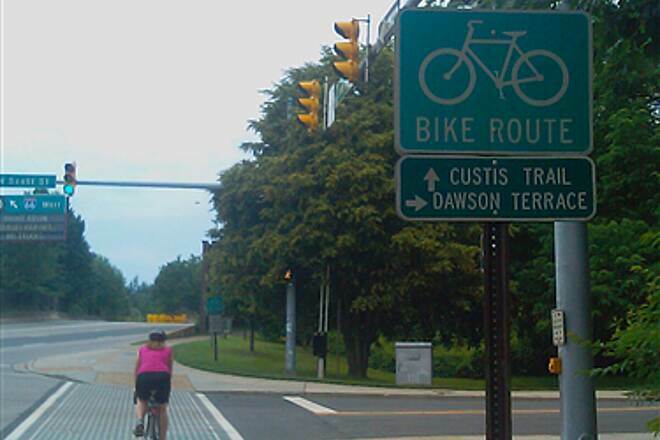 I start at the Eisenhower connecter beltway exit at the clermont access bicycle ramp. Next its on to the cameron run trail toward ramsey nature trail. from there its thru the neighborhood of seminary hills and onto walter reed dr. and the four mile run trail. 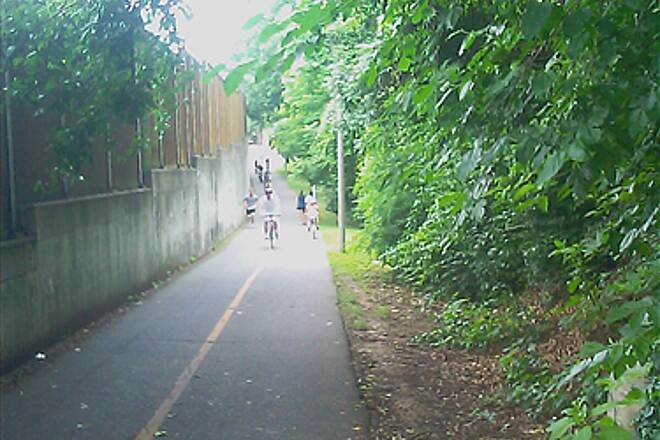 next its the W & OD trail and right onto the custis trail. Then south on the Mt. vernon trail and finally west thru old towne to the cameron run trail and back to clemont. total miles: 28. perfect after work night ride or weekend afternoon ride! 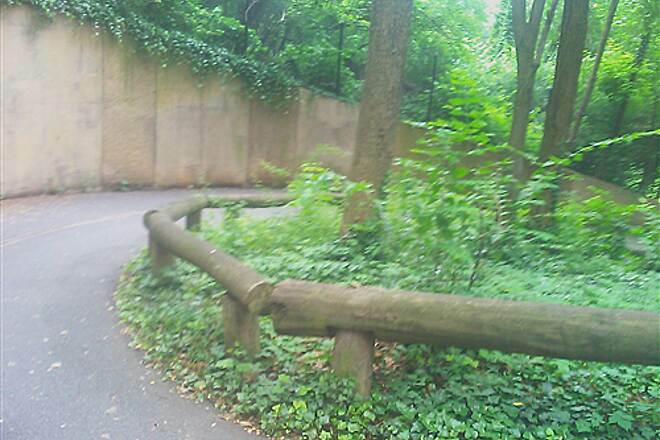 The section of this trail from Theodore Roosevelt Island / Rosslyn to about Glebe Road is almost all up hill. 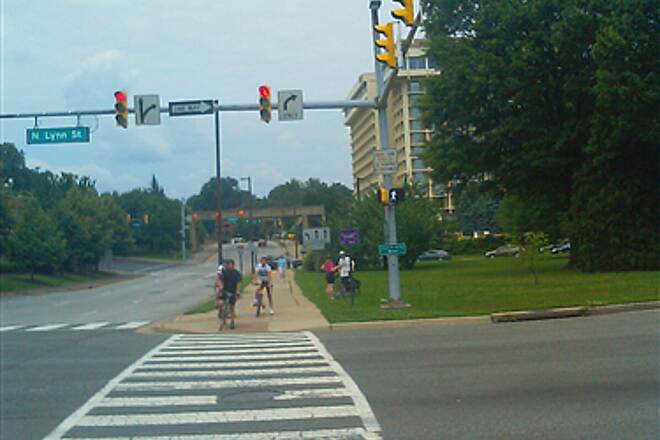 The first mile or two from Rosslyn to Veitch Street is a just wide sidewalk. The total vertical rise from Rosslyn to Glebe Road is about 300 feet. This section is a good workout for those who like hills. 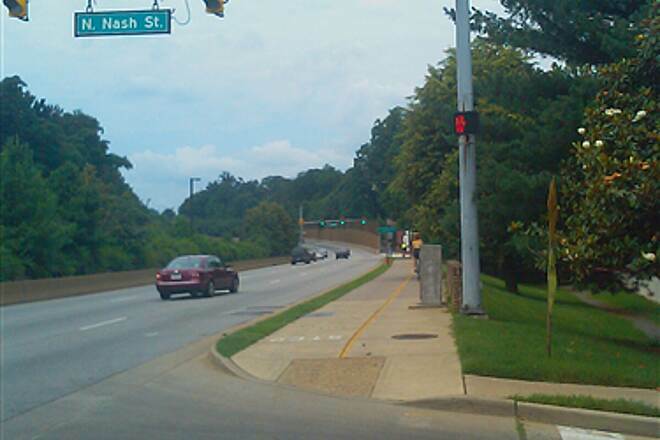 To the west of Veitch Street, It runs along side Interstate 66 but is separated from it. There are some nice woods along this portion but it is always noisy because of the interstate. 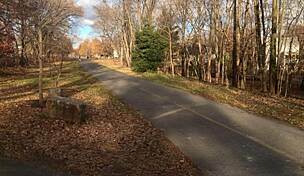 This trail was originally a rail trail which followed a spur of the Washington and Old Dominion Railroad (W & OD) from East Falls Church near the intersection of Lee Highway and Washington Boulevard. 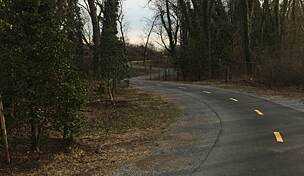 I rode the portion from Rosslyn to North Kirkwood Road in the early 70's. Later Interstate 66 was built along the old railroad right of way. The current trail runs along side the Interstate. A friend and I just rode the loop that mdcrtse described in his June 18, 2009 review but started about a half mile south of the intersection and Mount Vernon trail and the Four Mile Run Trail. We parked at Dangerfield Marina, took the Mount Vernon trail north to the beginning of the Custis trail near Theodore Roosevelt Island. Then we followed the Custis trail to the W&OD trail. 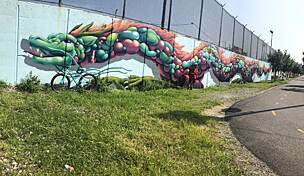 After that we took the W&OD trail to its end in Shirlington. Finally we shifted over to the Four Mile Run Trail and followed it back to the Mount Vernon Trail. This route puts almost all of the uphill in the first half of the trip, followed by a gentle down hill return to the start. If you like hills, pick up the Four mile run trail as soon as you encounter it. 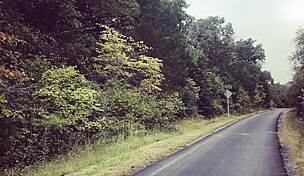 Although it runs parallel to the Four mile run trail, it has many small and medium size hills and one large one. This trail is a nice trail for those who like going up and down hills. If you start at the Theodore Roosevelt park (on the Potomac river) you climb up a very long hill on a side walk marked with an orange stripe designating the trail. After you get past the first long (and steep hill) you go down and up quite a bit as the trail follows route 66 and climbs from road level up to overpass bridges and roads. Unfortunately you will not be rolling down hill coming back as the trail goes up and down in both directions. Although it will be a long down hill going west to east when you get near the Potomac. I've been walking/running/riding my bike on this trail for over 7 years now. I used to live very close by so I would take my bike or just walk to the trail from my parents house. 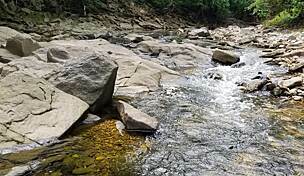 Normally I begin on the trail from the area behind the Chevy Chase Bank (on Lee Hwy & Spout Run) in the shopping center area and walk towards Falls Church. If I'm on the trail on the weekends I take it to DC (right side). Its an awesome trail. My sister and her family (two girls aged 9, and her son aged 11) went to DC from her home in Fairfax, VA. Every one of them had a bike. She said that other people riding their bikes kept getting too close to them when they'd pass. At one point she said my neice was being approached from behind by a cyclist who told her she was approaching her left side.. so she tried going to her right.. then he yelled 'oh sorry RIGHT RIGHT'.. obviously my neice got confused and ended up falling off her bike. The other cyclist just kept on going! Didnt even look back! So, the purpose of this story is BE CAREFUL OF CYCLISTS!! Even when I am on the trail walking or jogging I notice some cyclists get too close to me.. even when there is NO ONE else close to us!